As a result, even after it imposed of the 21-month Emergency in 1975, some media still back the Congress, mostly out of hatred for ‘communal’ BJP. They are trying to bring the dynasty back to power, even by partisan reporting and interpretation, They lost their credibility in the process. India does not have the dreaded censorship of the media, the hallmark of the Emergency. Government advertisements, which, used by the government to favour the Press some decades ago, ceased to be alluring. The advertisement budgets of commercial companies have grown manifold. The threat to media freedom is not from the government alone. The sword of sedition charges hangs over some in rare cases where a stand against the national interests is taken, It cannot be used in other cases. So who has infringed the media’s freedom of expression? Private advertisers can also influence the media to take a partisan stand, as was shown by the way the media played down Modi during the 2014 elections and highlighted the negative aspects of demonetisation and his foreign tours. The threat comes from journalists themselves. The whole culture of Indian journalism, which was a part of the freedom stuggle and social reforms in its early years, has changed in the last 100 years as I tried to bring out in my book ‘A Town Called Penury– the Changing Culture of Indian Journalism’. Paid news, journalists trying to make money through blackmail and corrupt ways, media accepting favours to publish news, or more often to suppress what is inconvenient, Planted news and interpretations and media people working as propagandists for some politicians have become common. Journalists who accept free foreign jaunts, hospitality, lavish gifts, housing, plots etc., cannot remain “free” and neutral. In the early days, as I pointed out in the book, sheer idealism drew talented writers into the profession. Even after so many wage boards and competition between media houses journalists’ emoluments failed to keep up with those of professions needing the same level of intelligence and skills. Their struggle for higher wages and better living conditions continues. In fact they would be holding marches for it today – May Day. As in all other spheres ethics take a back seat and so some of them do stray from the path of righteousness. It does not mean they are all corrupt, but the tribe of those who are appears top be growing. Pay journalists better, but also ensure their ethical functioning. Every other day you see posts on social media about ‘presstistutes‘, paid news and frivolous, partisan journalism. 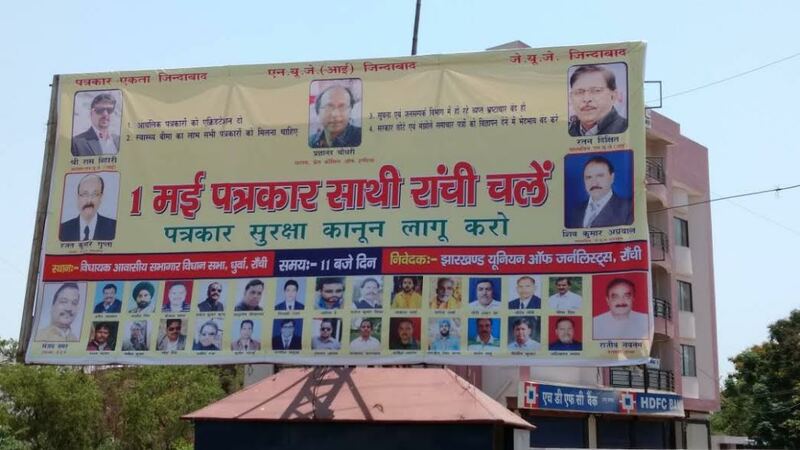 The electronic media live on hype to raise their TRPs and the print medium tries to compete with them in this. “Congratulations to editors / Reporters of Karnataka for making Karnataka No.1 in Media corruption surpassing Delhi, Maharashtra and Telengana as compared with 2015 survey. 270 journalists have assets over 5 crores. In my two books (the other is ‘Journalism: Ethics, Codes, Laws‘) I tried to emphasise the need to curb ‘envelope journalism’ and lay greater stress on ethics in journalism courses. More than two years ago I wrote to dozens of universities and journalism teaching institutions, calling for more classes on ethics. I proposed a regulatory body for mass communication courses like AICTE (All India Council of Technical Education) for engineering and MBA. Not a single institution replied or moved in that direction. Honesty and integrity of the media is desirable. But then so is the case with politicians and business leaders, isn’t it? The lack of honesty and integrity in the media is only a reflection of the same in political and business lraders. Fortunately some honest ones still exist. In Karnataka, elected Assembly members instead discussing the drought & other issues of people of Karnataka were busy in throwing mud at the media in the recent sittings and formed a committee to bring tame the free press. The committee recently had the first sitting in the Vidhana Soudha on the World Freedom Press Day. I have seen people using media for their own benefits.There are rumours as well that if you do not satisty or be nice to print media,they will downgrade you by publishing false news.Live example is The kapil sharma show which was off air due to some personal issues amongst the artists and has been a big issue.This is how media changed the life of one upcomming standup artist. Two decades ago, I was addressing the National Police Academy on disaster management. All in the audience were DIGs and above. As I was a journalist, they forgot disaster management and spoke ONLY about yellow press and blackmailing by journalists. 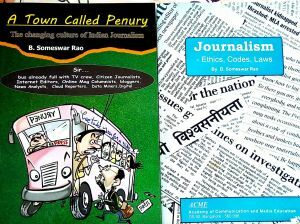 I wrote about it in my book A TOWN CALLED PENURY -the Changing Culture of Indian Journalism. This is the harsh reality about media today.